As we age, there is a significant loss of skeletal support and the volume of soft tissue. This is why we see the obvious deflation that comes with aging. Fillers are used to restore the soft tissue volume, effectively lifting the tissues and correcting the deflation. This minimally invasive procedure usually takes about 30 minutes, and the patients can see immediate improvements. They can then return to work immediately following the procedure with make-up. Bruising and swelling are usually minimal. While there are several filler materials available, we use only the safest and most established products in our clinic. 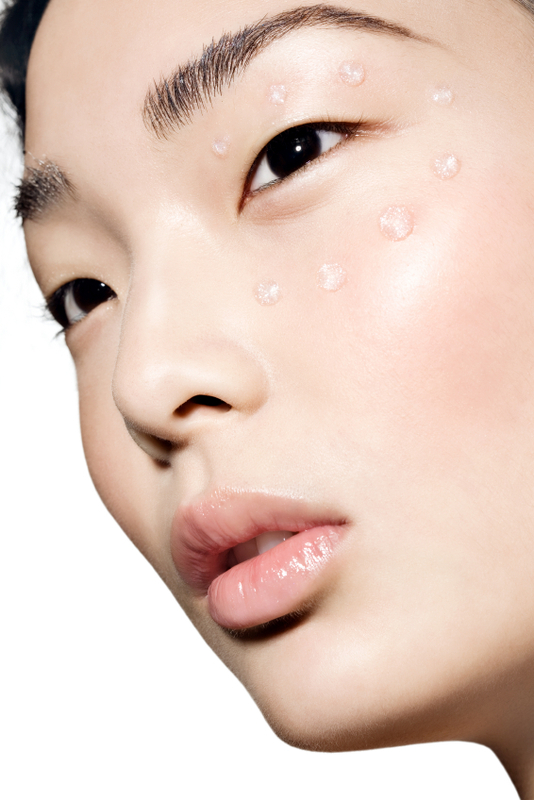 We use products based on hyaluronic acid (HA), which is a chemical compound that is found in our body. It is safe and can be digested by the body over time. Depending on the location and technique of the injection, fillers can last anywhere from 9 months to 18 months. Different types of HA with differing viscosity and durability are available and is selected by the doctor based on the desired effect, location where correction is needed and individual requests. Besides regular fillers, more long lasting or permanent fillers are available and may be suitable for selected patients. Minimal discomfort will be felt during the procedure, and local anesthetic creams can be applied to numb the area before the procedure. Some of the more advanced filler are mixed with local anesthetic, making the injection quite painless. Should more pain relief be needed or in cases where more fillers are needed, nerve blocks, which are very targeted anesthetic to numb the entire face can be applied. This procedure uses fillers to refine and improve the nose, where the bridge of the nose can be raised, the tip projected more and made sharper. The results are subtle and natural. Filler rhinoplasty is ideal for patients looking to refine the nose but may not be ready to undergo a surgical rhinoplasty. To further explore the use of fillers for your needs, please come in for a consultation as well as to review some photos for a better understanding of the expected outcome from these procedures. It’s been said that the foundation of our appearance is the facial skeleton. This is obvious in individuals blessed with prominent facial features such as a strong supraorbital ridge (the part of the bone under the brow), prominent cheeks and a strong jaw line. These are the individuals who look good and will eventually age well. Patients with naturally retruded skeleton will naturally benefit profoundly from augmentation of the facial skeleton as the procedure adds depth, dimension and character to the facial features Today, we know that the facial skeleton changes profoundly with age. 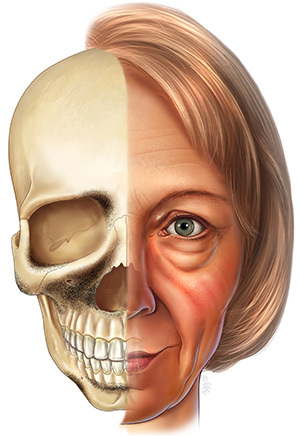 Certain areas of the facial skeleton are susceptible to resorption as we age and the resultant loss of soft tissue support in those areas contributes to sagging. 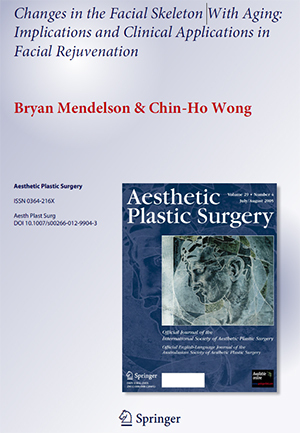 As such, patients with facial aging would also benefit from skeletal augmentation for a more harmonious result with facial rejuvenation. Skeletal augmentation can be done alone or more commonly with the surgical rejuvenation (known as the ‘lift and fill’ approach). Skeletal augmentation can be done with a variety of materials, such as facial implants like silicone, medpore or more recently hydroxyapatite granules. Hydroxyapatite granules have been gaining popularity as it contains the same chemical composition as our bones and integrates completely with the facial skeleton. This makes it very safe when used in the face. The use of fillers (Hyaluronic Acid fillers) are also very effective with minimal down time. A variety of fillers are currently available for different areas of the face and they vary in flow characteristics and permanence. Fillers last from 9 months to 2 years, depending of the materials used. Fat grafts may also be used, and the main benefit of this is that once taken, it becomes a permanent ‘filler’ material. Most importantly, fat can rejuvenate the overlying skin when injected into the face. Fat may be harvested via the abdomen or the thighs via tiny incisions under local anesthetic with minimal discomfort. For a discussion of the procedure that best suit your needs, please visit us for a detailed consultation.